« “Forgotten Hollywood”- Kirk Douglas / Marvin Hamlisch News! With Halloween a little over a month away, eight of the most iconic cinematic masterpieces of the horror genre will soon be available together on Blu-ray. 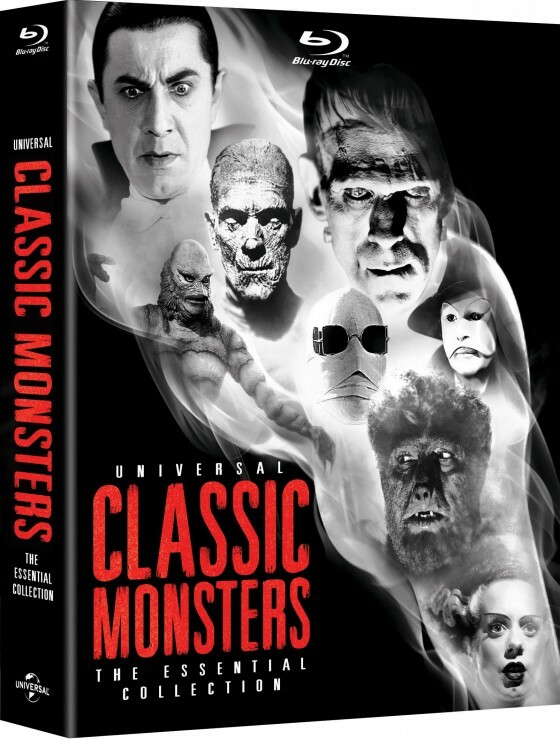 Universal Classic Monsters: The Essential Collection debuts October 2nd through Universal Studios Home Entertainment. For almost a century, Universal Pictures is described as the Hollywood home of ghouls, fiends, and creatures. Capturing performances by screen legends of the horror genre, including Bela Lugosi, Boris Karloff, Lon Chaney, Jr., Claude Rains, and Elsa Lanchester, these classics also feature groundbreaking special effects and innovative makeup. Sure to become a Halloween favorite for years to come, Universal Classic Monsters: The Essential Collection is the ideal gift for classic movie buffs and horror aficionados alike. This collection includes Dracula, Frankenstein, The Mummy, The Invisible Man, Bride of Frankenstein, The Wolf Man, Phantom of the Opera, and Creature From the Black Lagoon. Extra background goodies are part of this latest historic DVD series. This entry was posted on Sunday, September 16th, 2012 at 12:32 am	and is filed under Blog by Manny Pacheco. You can follow any comments to this post through the RSS 2.0 feed. Responses are currently closed, but you can trackback from your own site.